Art has always played a part in the offerings at Sprout—from hosting art shows to original pieces of art available on a daily basis. And now we are expanding to include art books and other products designed by artists. The first artist in this series is Lotta Jansdotter. 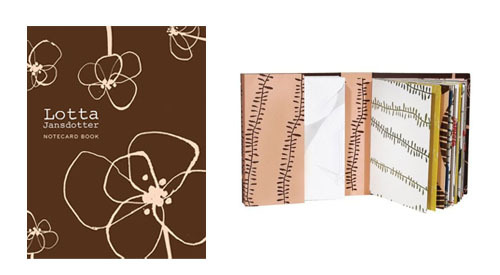 Influenced by her Scandinavian heritage, Lotta is a gifted designer and author of several books. 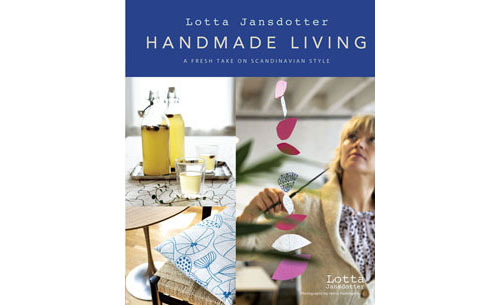 In her latest book, Handmade Living—A Fresh Take on Scandinavian Style, Lotta shares her decorating secrets, design resources, entertaining tips, and family traditions. In addition to 150 color photographs, the back of the book contains stencil pages and perforated recipe cards featuring classic Swedish dishes. I love how Lotta's work is described on her website as being "like little plants working their way through cracks in the sidewalk. Things of simple beauty that bring relief to the urban landscape." 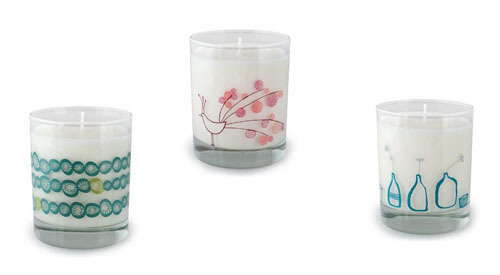 This perfectly describes the designs you may remember seeing on the series of Crash candles that we carry in the shop—which, by the way, is where I was first introduced to her work. 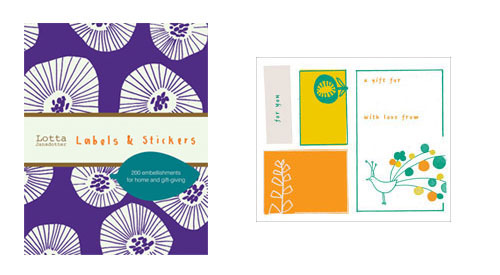 In addition to Lotta's new book and the candles, we also now have paper goods sporting her designs—a set of notecards, a collection of labels and stickers and mix and match stationery (not pictured). To keep up with this talented artist, you can follow her blog here. Meanwhile, more beautifully designed pieces from other artists are on their way, so stay tuned.